Definition - What does Holy Fig Tree Pose mean? Holy fig tree pose is a beginner balancing posture that is a variation of the foundational tree pose. The pose is named after the holy fig tree, which is native to the Indian subcontinent sacred to religions with origins in the region. In holy fig tree pose, each of the body's limbs reach in a different direction. 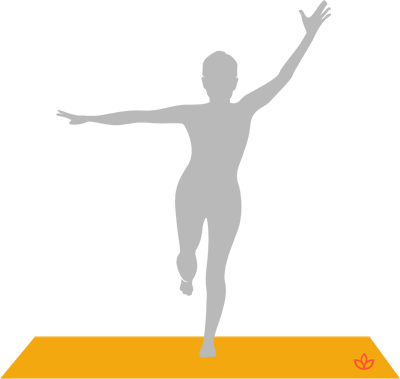 While the yogi balances on one leg, the other extends back, one arm stretches skyward and the other arm extends to the side at shoulder height. This posture is also known by its Sanskrit name, ashwanasana or ashwattasana. In the Bhagavad Gita, the holy fig tree is described as representing the many branches of consciousness, which are connected to the same eternal source. Hindus often meditate under the tree, and it is said that the Buddha attained bodhi (awakening) while under one such tree.